Creating the perfect email event invitation can help boost the attendance rate for all of your important functions. The best examples of event invitation emails have key elements in common, including strong call to actions and catchy subject lines. Quick tip: make sure to send your event email invitations using a business email account so that the recipients don’t mark them as spam. 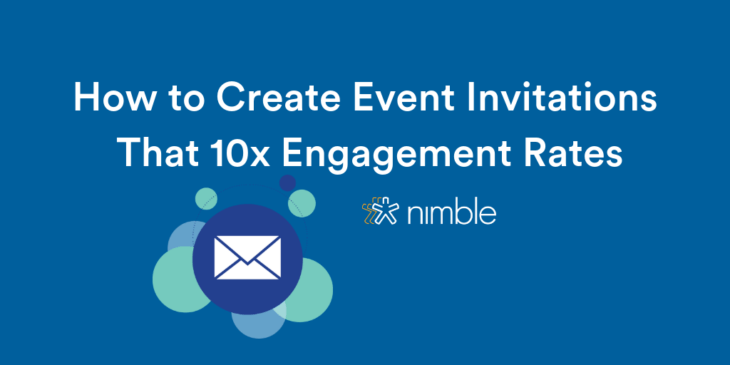 In order to help you send more effective outreach, Nimble offers trackable email templates that can be sent to highly targeted groups at scale. 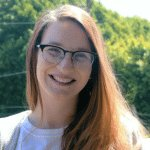 When used effectively, email templates can streamline your outreach workflow and increase your open rates, thus improving the probability of people RSVPing to your events. 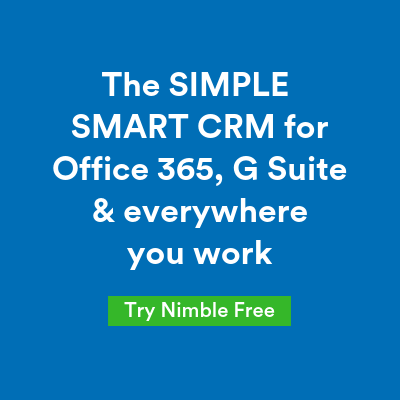 If you’d like to see them in action try Nimble’s free trial. An online invitation email is a formal request for someone to be present at an event such as a convention, mixer, meeting, webinars, and the like. You can address your invitation to a group of people, an entire organization, or just a particular individual. The tone of the invitation can be either formal or informal, depending on the event and the audience. You can invite prospects and current customers to corporate holiday parties, kick-off events, or product releases. When used for business purposes, these can be used to invite some speakers, business partners, etc to the event. Here are a few elements that go into an effective online invitation email. The subject line consists of the first words that your recipient sees pertaining to your invite — which is why this element is so crucial. A subject line can either make a person want to open an online event invitation, or simply scroll past it without engaging at all. Our eyes can read only up to eight words at one glance, so your subject line must be on point. Keep your subject line as short as possible (up to 70 characters), but make sure it has all the necessary information that can draw a person’s attention to the email. Show people why they need to attend your event in the first place. Tell them the purpose of the event, who will be attending, and why they will benefit from attending. Be sure to include information regarding keynote speakers and which topics they will be covering. Remember to always keep your messaging as succinct as possible; using brief lists will help to break up pivotal event information. You might find several corporate event invitation email sample on the Internet or on social media that demonstrate the email template structure. The email should have a decent opening and closing. Begin the email by personally addressing the recipient. In the opening of your online invitation, introduce yourself and explain and why you are writing to begin with. Keep in mind that one CTA button per invitation email is just what you need. Make sure that date, location, and any additional information is listed in your event invitation email. Include the duration of the event as well. If you have some kind of online event, make sure that people from different time zones get the emails with the right time for their region. Most G Suite or Outlook calendars automatically calibrate based off of the user’s region. Additionally, don’t forget about providing the links to the event and log in details. You can use a banner with a catchy picture and a phrase in the opening or in the closing of your online invitation. If you’ve searched for sample event email invitation for corporate events, you probably saw that lots of those samples suggest using banners. These are a very effective tool to use in your own invitation email. You can also use any other appealing visuals that will get the attention, such as quirky GIFs or memes. Other elements to consider can be a nice font or email header. The goal of an email invitation is to get the attention of the recipient and convert them into an attendee. 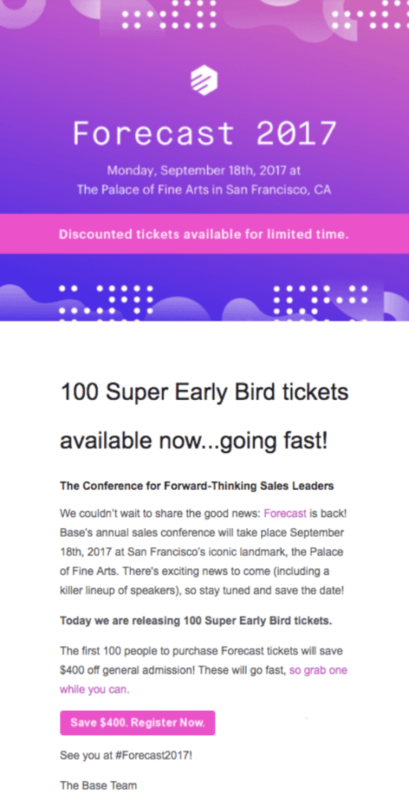 Now, let’s analyze some of the best corporate event invitation email examples. The colors on this invite are very vibrant and eye-catching. The design is relatively simple, which makes the whole email easy to scan quickly. The font is clean and easy to read, while the main takeaways are highlighted appropriately. There is also a clearly visible CTA at the bottom of the event invite. 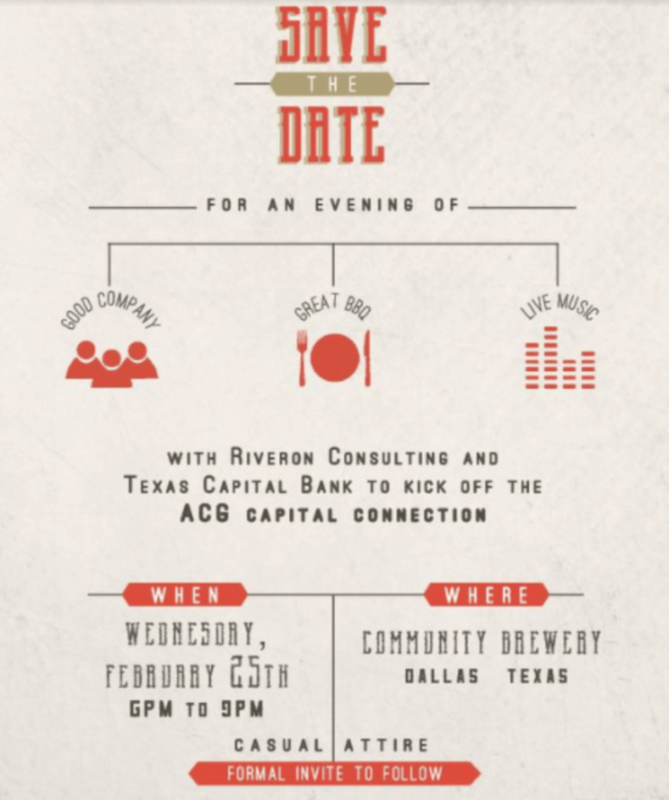 ACG used great, well-structured infographics in their Capital Connection event invitation newsletter. This is one of the best examples of corporate event invitation emails because it is straight to the point and articulates its points in a simple, effective manner. 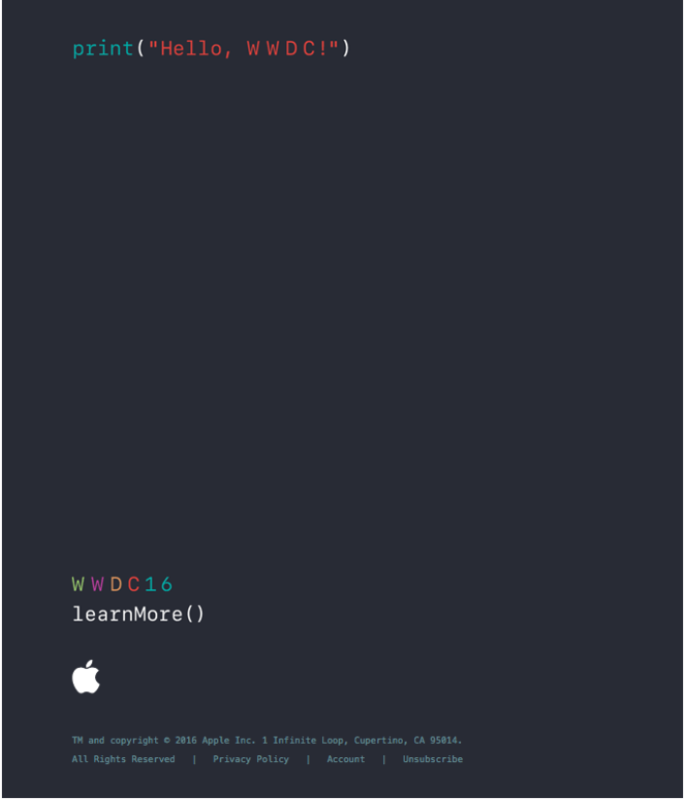 This invitation targets a very specific audience: coders. This is why it doesn’t have that many details. The target audience knows who Apple is, and is capable of understanding this message. Simplicity is key. Now that you’ve seen some of the best examples of corporate event invitation email, we can get to summing up the tips that will help you make an efficient invitation email. Your name and the name of your company (if applicable) should be introduced at the very beginning of this invitation email. The name of your event should be included shortly after your own name. Make it short but memorable. Address the purpose of the event. What is the benefit of going? Clearly identify the date, location, duration, time. If it’s an online event, keep in mind that there might be people from different time zones. Make visuals. They have to be nice, eye-catching, but they shouldn’t be a distraction from the main idea of this email invitation. Include a strong CTA button to add a sense of urgency to your outreach. Now that you know how to create a successful corporate event invitation email, we hope that you will see higher engagement and attendance rates as a product of your strategic online invitations. Use these tips wisely, and remember that simplicity is the key.